A month after the Heher Commission on Free Higher Education released its long awaited report, President Jacob Zuma announced sweeping changes to the higher education funding regime on Saturday. The Presidency announced its resolutions on the funding of the post schooling education and training (PSET) sector, public technical vocational education and training (TVET) colleges, and public universities among other things. We reaffirm that education remains an apex priority of Governmentâ€™s pro-poor policies and a central pillar of our fight against the socio-economic legacy of apartheid and colonialism and its resultant triple challenge of race, gender and class-based poverty, inequality and unemployment as outlined in the National Development Plan. Failure to accelerate equitable access and success in higher education and training directly threatens the achievability of this key objective and everything we have built thus far. The provision of fully subsidised free education and training will be extended to all current and future poor and working class South African students at all public TVET colleges starting in 2018 and phased-in over a period of five years. For TVET colleges, full cost of study will include tuition fee, prescribed study material, meals, accommodation and/or transport. The government will further invest in the training and development of existing TVET staff and the recruitment of additional qualified staff to improve the quality of teaching and learning at TVET Colleges. Funds will also be directed towards the improvement of infrastructure in the TVET sector. As a result of this substantial increase in subsidy to universities, there will be no tuition fee increment for students from households earning up to R600 000 a year during the 2018 academic year. Noting our nationâ€™s staggering levels of income inequality and considering the definition of Poor and Working Class Students that has remained stagnant and outdated despite the escalating cost of living and studying, and in order to maximise the developmental impact of our pro-poor higher education policies, the definition of poor and working class students will now refer to â€œcurrently enrolled TVET Colleges or University students from South African households with a combined annual income of up to R350 000â€ by 2018 academic year. The Minister of Higher Education and Training shall revise this quantum periodically in consultation with the Minister of Finance. Having amended the definition of Poor and Working class students, government will now introduce fully subsidised free higher education and training for poor and working class South African undergraduate students, starting in 2018 with students in their first year of study at our public universities. Students categorised as poor and working class, under the new definition, will be funded and supported through government grants not loans. NSFAS packages already allocated to existing NSFAS students in their further years of study will be converted from loans to 100% grants effective immediately. This policy intervention will enable government to extend fully subsidised free higher education to youth from well over 90% of South African households. Duly, from 2018 onwards, eligible South African children of the unemployed, social grant recipients, South Africans earning below a minimum wage, domestic workers, farm workers, mine workers and entry level civil servants such as teachers, nurses, policemen, municipal workers, security guards, refuse collectors and informal traders amongst others will now access public universities and TVET colleges for free through grants provided by their government. 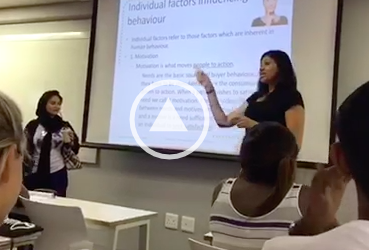 In order to achieve its intended targets of access and success, fully subsidised full cost of study will include Tuition Fee, Prescribed Study Material, Meals, Accommodation and/or Transport. The matter in relation to the management of NSFAS debt due to its complexity will be dealt with by the Minister of Higher Education and Training after due diligence has been undertaken by the Department of Higher Education and Training; Department of Planning, Monitoring and Evaluation and the National Treasury to determine the quantum of funding required. Grants for poor and working class South African students at universities and TVET colleges will continue to be managed and administered by the National Student Financial Aid Scheme through their recently completed student centred-model. The building of new student accommodation and refurbishment of old student housing at both universities and TVET colleges will be given urgent attention, with priority given to Historically Disadvantaged Institutions. Government will further investigate the viability of â€œonline and blended learningâ€ as an additional mechanism to deal with capacity challenges across the PSET sector. The challenges facing higher education in South Africa go as far back as other studentsâ€™ protests that came before the fees. I urge the Minister of Higher Education and Training to work with the relevant government agencies and other relevant stakeholders within the higher education sector to address the issue of transformation of the PSET sector as well as matters related to curriculum alignment. The Minister of Higher Education and Training will also need to form partnerships with business, other relevant government agencies and stakeholders within the higher education sector to reposition and rebrand TVET colleges into world-class and state of the art facilities that produce the skills that the country needs. The curricula of TVET colleges must be improved, reviewed and refocused so that it can make the much needed contribution in the fight against the current skills deficit that the country is facing. Low graduation rates and high dropout rates at all TVET colleges and universities will be given urgent attention by all higher education and training stakeholders. 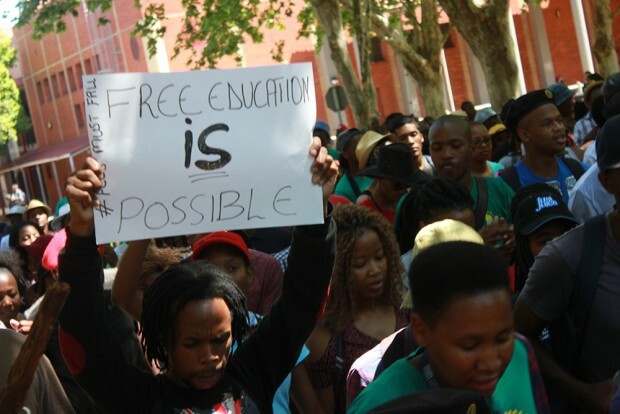 The immediate implementation of free higher education for poor and working class South African youth is part of Governmentâ€™s Radical Socio-Economic Transformation programme aimed at safeguarding the future of our country in pursuit of the goals of our National Development Plan as outlined during this yearâ€™s State of the Nation Address. I would like to take this opportunity to wish Grade 12 Class of 2018 success as they await their National Senior Certificate results. May these opportunities created by government be utilised to lay the foundation of your future empowerment and the inclusive growth of our economy.